GET EMERGENCY DENTAL CARE TODAY! Are you looking for an emergency dentist in Atlanta? Peach Valley Dental provides emergency dental services to both current patients and new patients. Our team will take very good care of you. We provide caring, skilled and thorough examinations for all emergency cases in our dental office. We know how miserable tooth pain can be. With Peach Valley Dental, you have a dedicated team of experts who can help you when you need it most. Many times, we can schedule same-day appointments so you can get back to your life pain-free. We are pleased to be the emergency dental clinic patients in the greater Atlanta area can trust. Patients often find they need urgent dental care for a variety of reasons. 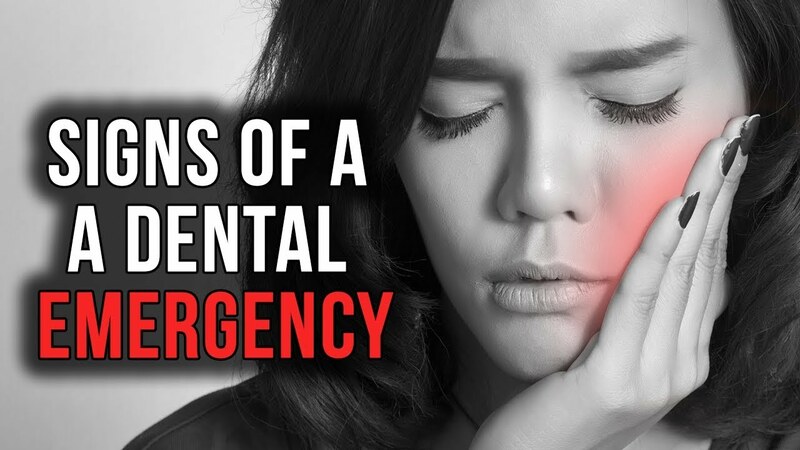 Some of the most common dental emergencies are listed below. No matter the reason for your emergency visit, we are here for you. Saving an injured tooth is always our first choice. However, there are times when circumstances dictate that we need to move forward with an extraction. Emergency extractions could be needed for one of any number of reasons, from tooth decay to a history of gum disease. Additionally, we may need to complete a tooth extraction if the tooth cracks to the point that it cannot be saved with a root canal and crown. Though extractions may sound scary, our staff will do our best to make you feel at ease. We will explain the procedure in detail and answer any questions you have. We can usually complete extractions with just a local anesthetic. Recovery time after a tooth extraction is generally fairly short. Once the tooth has been removed, we may place a couple of stitches, and we will send post-operative care instructions home. With a little time, the area will heal and you can resume regular activity. Anyone who has a tooth completely knocked out needs to be seen immediately. If you have a permanent tooth knocked out, we can likely save it, but it will require a root canal. This is because the root structure will not fully reattach. But healthy bone will reattach to the root, keeping the tooth in place, if we can see you quickly. Place the tooth in a glass of milk or water if possible, to transport it to our office. Assuming the tooth came out in one piece, the odds are good that we can save it with quick action. An abscess is a pocket of infection. Abscesses generally form around the tooth, but gum abscesses are also possible. If you have an abscess on your gums, we refer to this as a periodontal abscess. Regardless of the type, all abscesses have the potential to be painful. Additional symptoms can include facial swelling, sensitivity to heat or cold, difficulty chewing, and persistent pain in the jaw. If you have an abscess, you may even run a fever. To treat an abscess, we start by draining the fluids inside the pocket and cleaning out the infection. Depending on the severity of the infection and damage to the tooth structure, we may recommend additional treatment. For some people, this can include an extraction. "Saying that going to the dentist is a pleasurable experience is something that you will never hear, unless you go to Peach Valley. Dr. Dennis and her team are very welcoming and thorough throughout the entire process. Thank you all for everything you do!" 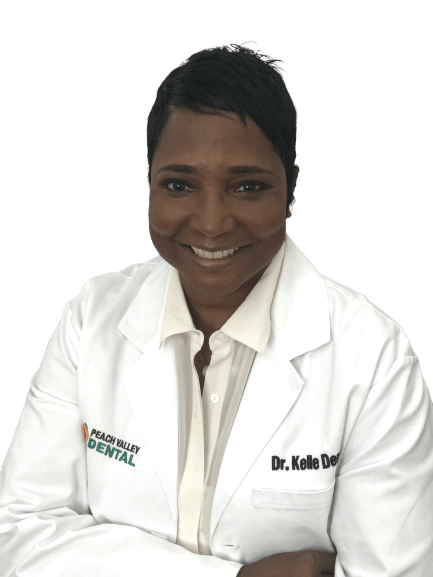 "I’ve been going here for about a year now… I needed to find a dentist after moving from California and having a great relationship with my past one…Doctor Dennis and her team are amazing… Also love that they have late appointments available... I highly recommend you give them..."
"Love the staff ! Everyone was super warm and gave me comfort ! Dr. Dennis made me feel like i was entering s family ! Love I’ve definitely found my new dental home !!!" "Dr. Dennis and her staff hands down the best!!!!! I had an emergency and she seen me right away. She was very professional. I defiantly will be back and recommend." "Love the whole team at Peach Valley Dental! They're always friendly and they do a great job!" "I have nothing but wonderful things to say about Dr. Dennis and the lovely staff at Peach Valley Dental! They gave excellent and friendly service and were extremely professional and timely. I look forward to continuing to see them." "I am new to the Atlanta and needed a dentist. Dr. Dennis has great reviews on various websites so I decided to try her. I've found Dr. Dennis, the dental assistants and the office staff to be very professional, trustworthy, flexible, considerate and friendly. I am extremely pleased..."
"I was blown away with how friendly & informational the frontend and backend staff was. I thought I was at Chick-fil-A the service was so amazing. I will be referring everyone I know." "I found Dr. Dennis on the radio. As long as I can remember, I have been afraid of the dentist. Upon entering the office, my sister and I were greeted warm and professionally... Dr. Dennis was awesome. After seven years with one dentist, Dr. Dennis is my new dentist." "I finally found a good dentist in the Atlanta Area!!! I tried a couple of others but they did not impress me at all. I'm pretty particular about my dental hygiene. Dr. Dentist (Dennis) my name for her, was a really informative caring provider...."
"We would like to send a HUGE THANK to Peach Valley Dental for donating tooth brushes and toothpaste to Taste of Satira & Satira's Closet share a meal event at Covenant House Georgia on Saturday, December 16th! Much appreciated!!! " "Love this practice! Everyone is professional, patient and very little wait times when seeing Dr. Also, no upselling. At the last practice I went to it felt like a never ending commercial." "I would most definitely recommend Dr. Dennis to friends or family. I've had a lot of dentist in my many years but none quite like this one. Dr. Dennis and the entire staff are extremely attentive and caring on top of delivering top notch care." "The Peach Valley Dental Staff was very professional, knowledgeable and friendly. Dr. Dennis is very thorough and a great educator. Ms. Butler provides top notch service and provides a family type atmosphere. I will definitely be recommending this Dental office to everyone in my network." Generalized oral swelling and bleeding can come from many sources. Most commonly, swelling and bleeding is a sign of gum disease. Early-stage gum disease, which is commonly known as gingivitis, is generally not an emergency. If left untreated, however, gingivitis will progress into periodontal disease. At its worst, periodontal disease will result in tooth loss if not addressed. If you suddenly notice any swelling or bleeding, you should make an emergency appointment quickly. We need to investigate exactly what is causing the sudden change. Urgent dental care may be needed to preserve the teeth and to address the underlying cause. Even a mild toothache can be very uncomfortable. Severe toothaches can be debilitating. 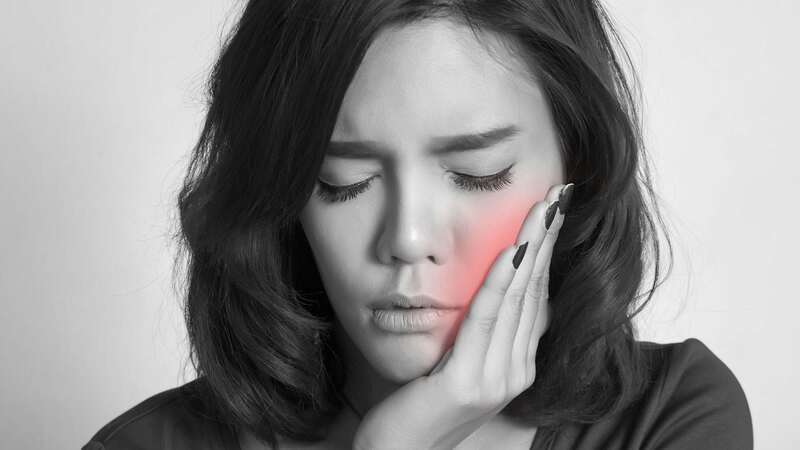 If you are experiencing a toothache, come in for an exam so we can determine the cause. The sooner we can address the issue, the sooner you can get back to your normal routine. Toothaches can be caused by a variety of conditions, from sinus infections and abscesses to cracks in the tooth structure. With x-rays and an exam, we can better pinpoint the cause and take the steps needed to save your tooth. If the tooth cannot be saved, we can complete an extraction. As an emergency dental center, we routinely see patients suffering from chipped, cracked, and broken teeth. Fortunately, we have many techniques available to fix these issues. The sooner we can identify the problem, the better our chances at saving the tooth. A small chip may only require some smoothing or perhaps some bonding. A cracked tooth may not hurt too much at first, but if it is not treated, it can spread and get worse. We encourage patients to contact us as soon as they notice a problem. It’s usually when patients wait to come in that the situation truly becomes an emergency, at which point our options may be more limited. Occasionally, fillings will become loose and fall out. This can happen for several reasons. First, older fillings may simply become worn over time, and start to deteriorate, which prevents them from maintaining their place in the tooth structure. Second, changes to the underlying tooth structure may cause a filling to pop off. If the filling is relatively new, it could be an issue with the material not properly cementing to the tooth. Regardless of why the filling came out, we want to get it back in (or replaced) as soon as we can. That filling is preventing bacteria from getting inside the tooth, which is important for its long-term health. If you lost a filling, let us know right away. We can schedule a time to repair or replace it quickly. Like any prosthetic appliance, dentures eventually wear out and lose their shape. Additionally, over time your gums can change, which impacts the way the denture fits. This will cause sore spots and overall discomfort. It is also possible for the denture itself to crack and break, particularly after years of use. A denture's average lifespan is about seven years with diligent daily maintenance. We want our patients to smile confidently, so we are happy to examine your dentures and determine the next best steps, whether that means a quick repair, or a needed reline or replacement. One of the more common injuries we see with our younger patients is facial trauma suffered during sports practices and competition. Facial injuries can have long-term impacts on the teeth, gums, and jaws—especially in kids who are still growing. We recommend coming in for an exam, and possibly x-rays, depending on the specifics surrounding the injury. If you are unsure whether your child should be seen, call the office to discuss the specifics of his or her injury so we can provide guidance. Peach Valley Dental is proud to be your emergency dentist in Atlanta. We take walk-in dental appointments whenever possible, and we can often address your emergency same-day. If you need an emergency dentist and you have no dental insurance, we can still help. Call (404) 254-5196 for more information, or to schedule an appointment. We will make our best effort to see emergency patients on the same day.